Thanks to the generosity of parents, pupils and teachers at Ballyholme Primary School, another Shelterbox has arrived in a disaster-hit country such as the Phillipines. 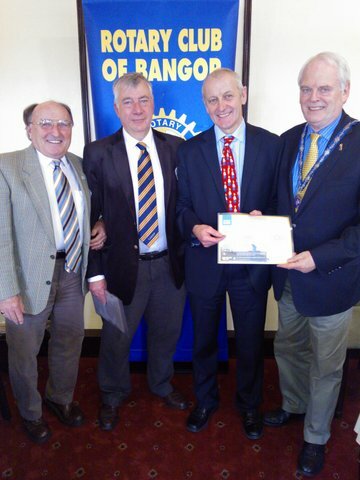 The school’s Vice- Principal, Tom Henry, visited Rotary Club of Bangor on 20 November to receive the school’s Shelterbox ‘certificate of gratitude’ for their donation of well over £500. The certificate provides instructions enabling the pupils to track their box’s destination. President Robin congratulated and thanked the school for such a very generous act of kindness.